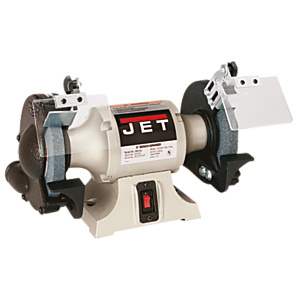 The JET 6" Industrial Bench Grinder has a powerful, long-life motor for use all day, every day. It comes standard with fine and coarse vitrified grinding wheels, cast iron wheel guards and dust vents, and more. Dimensions (LWH): 17 x 10 x 9"